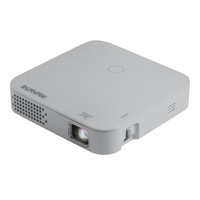 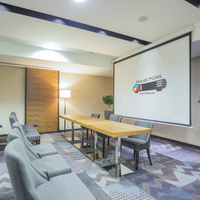 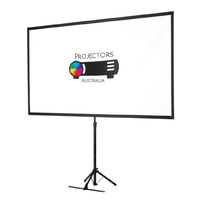 Large 2.3m diagonal display screen, clip style easy setup, use with a portable projector. 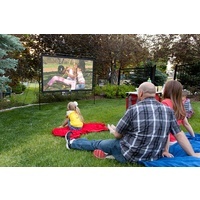 Viewing area designed to be portable and easy to store. 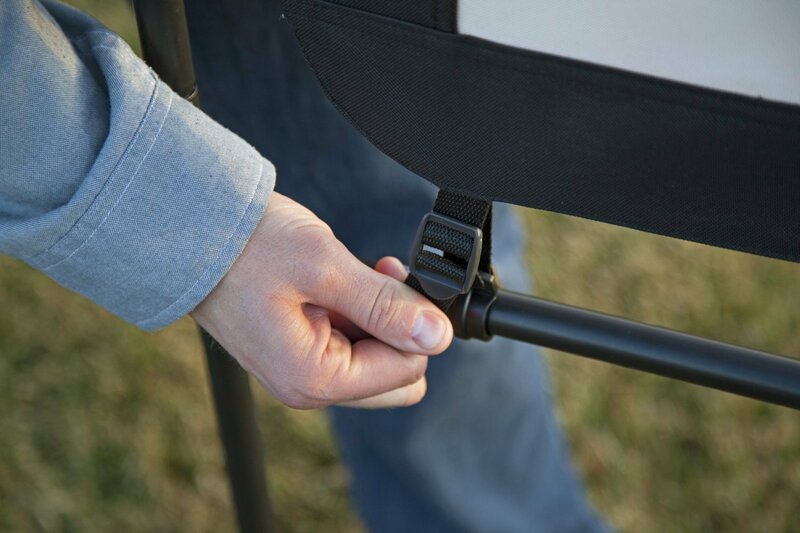 Comes with a carry bag 4 frame stakes, and 4 guy lines, sets up in minutes. 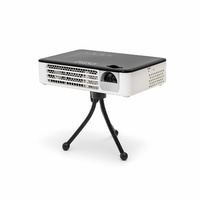 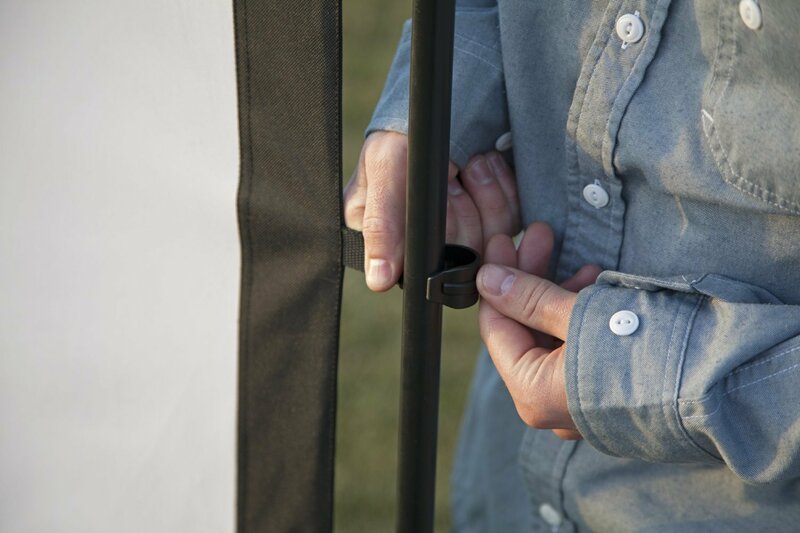 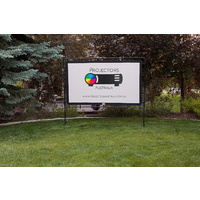 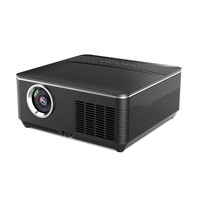 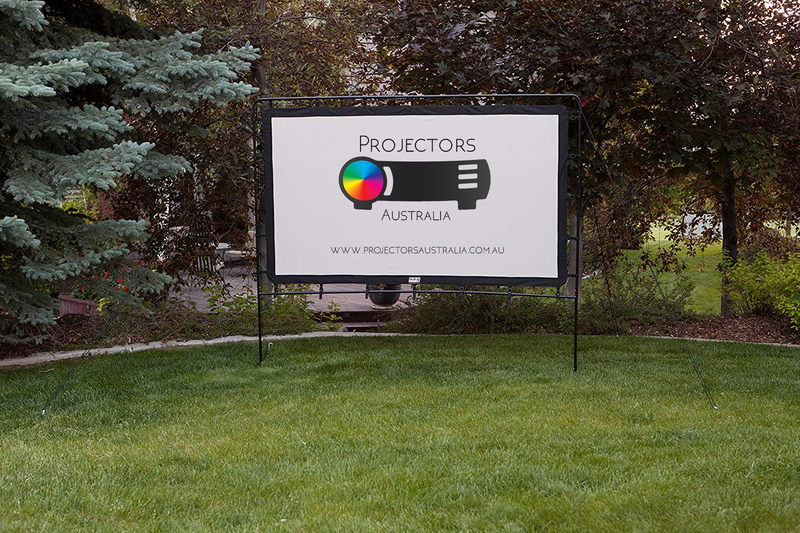 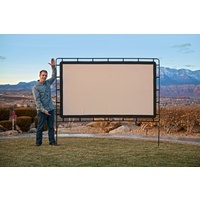 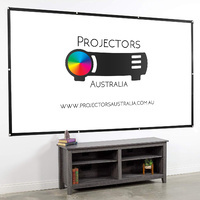 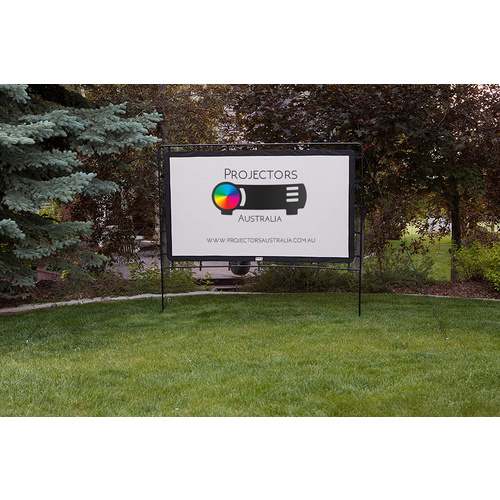 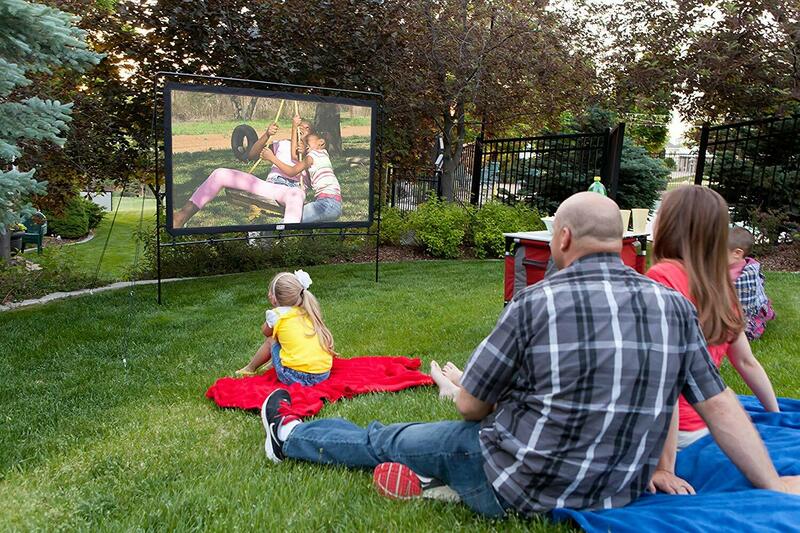 Use in Backyard, Event, Indoor, Outdoor, Camping, RV, Glamping, or anyplace you want to show a movie or presentation. 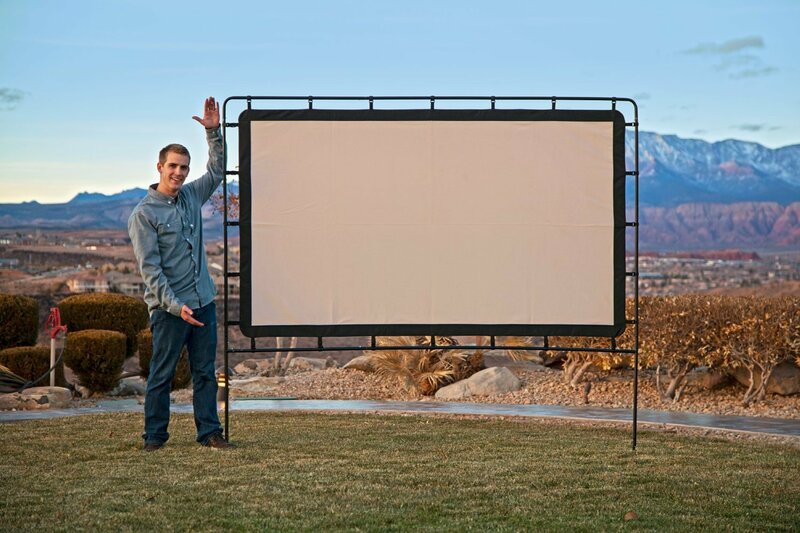 Have your own portable theatre, no need to have power or noise from an inflatable screen, this one packs up small and sets up quickly. 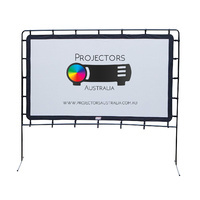 Made of a durable oxford nylon reflective material, making it perfect for high-resolution picture and enriched colours. 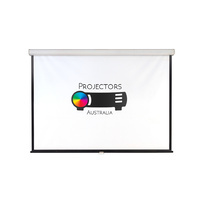 The screen is designed for front projection making it versatile in almost any situation, indoor or outdoor. 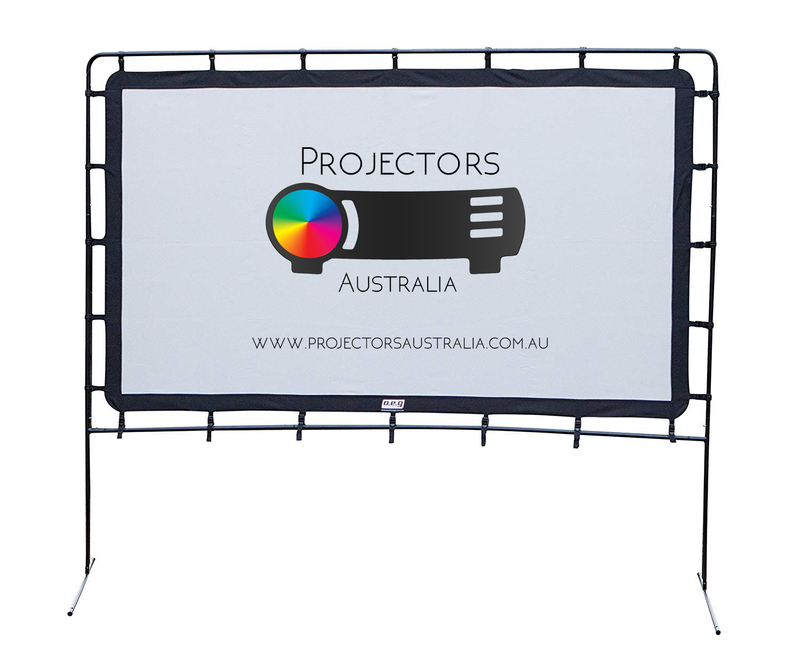 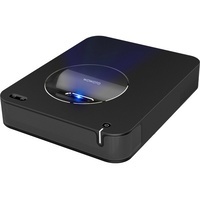 Great for movies, business seminars, sporting event, gaming, and more.